Place the cashews in a lidded container and cover them with filtered water. Place them in the fridge overnight to soften. For a quick soak method, cover the cashews with boiling water and led them soak for 1 hour. Drain and rinse the soaked cashews. Add them to a high speed blender with the remaining ingredients. Blend until the mixture is completely smooth, scraping down the sides as needed. 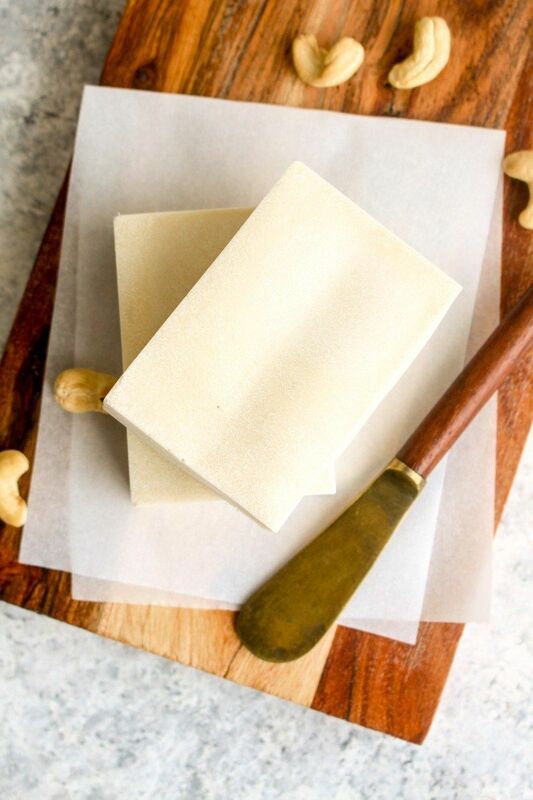 Place your silicone butter mold on a sheet pan and pour the butter into the mold. Use the sheet pan to transfer the butter to the freezer to set up. Once the butter is firm to the touch, about 2 hours. Pop it out of the molds and into a lidded container. If you don't have a silicone butter mold, pour the butter into a lidded container and place in the fridge.